Andy is the founder and Chairman of Basis. 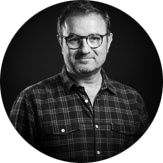 He founded Basis in 1991, having previously worked in brand management for Unilever, advertising planning, and design strategy. He is a qualitative specialist and is particularly interested in creative development and the impact of technology on consumer behaviour, he has conducted research in all major international markets.